Clear Poly Bags - 20.5" x 3.75" x 15"
Melt & Pour Soap: Slide wooden sides into slots, and insert the long silicone loaf inside (sold separately). Pour melted soap into silicone mold. Allow soap to cool at room temperature until hard. Carefully unmold by first removing the wooden sides then removing the silicone mold. Gently pull the silicone mold sides away from the soap, and then push on the bottom of the mold until the soap starts to release. Grab hold of the loaf and carefully pull out of the mold. Slice into bars. Cold Process Soap: Slide wooden sides into slots. Pour traced soap into mold. After at least 24 hours, remove soap from mold. For easier unmolding, remove the sides of the mold. 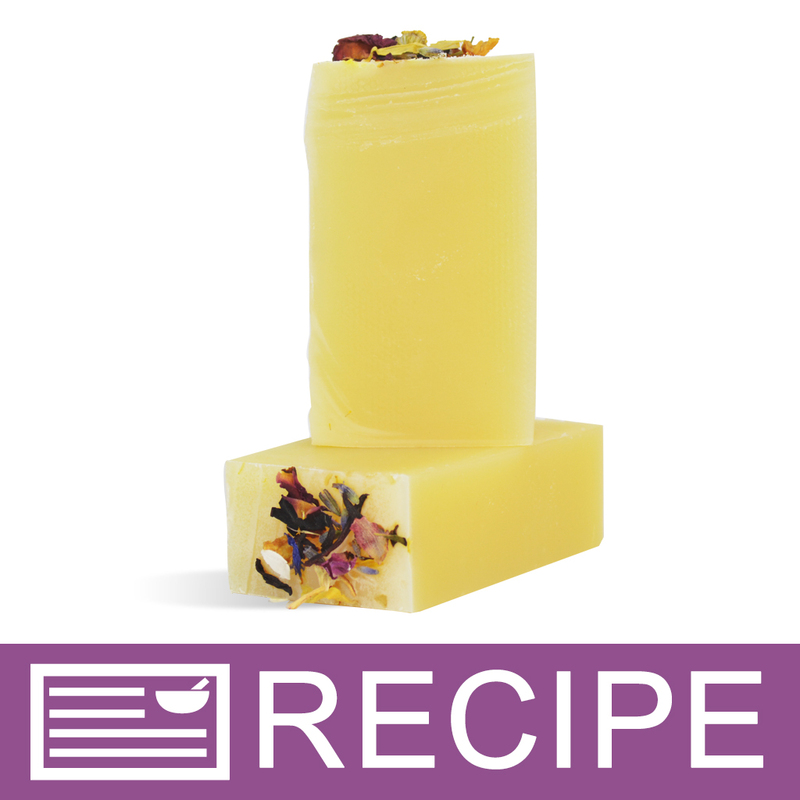 Slice soap into bars and allow to cure for 4-8 weeks. Note that some cp soap recipes may require a week to harden enough to remove from the mold. If this is the case with your recipe, we recommend adding sodium lactate to your recipe to assist with creating a harder bar faster. Hot Process Soap: Slide wooden sides into slots. Scoop hot process soap into mold. Gently tap the mold onto the counter to remove air pockets. Allow soap to cool and harden. (This can take up to 48 hours.) Remove soap from mold. For easier unmolding, remove the sides of the mold. Slice soap into bars. COMMENTS: The craftsmanship is stellar. LOVE the dimensions and scale of this mold. Removable side panels are a PLUS! Ordered two and will be ordering 2 more! COMMENTS: Well made, easy to use. I only wish it would come with a lid. COMMENTS: Adds great support for the mold. "Excellent Product for large batches of CP"
COMMENTS: I initially tried to purchase some cheaper molds to get around the expensive price of this product. I also had large custom wood soap molds made for me, at a cheaper price..thinking they would be just as good. In short, I tried everything to avoid spending $70.00 per mold plus the price of individual poly bags. I bought two of these molds and the bags that go with them and I will be buying a few more to ramp up production of my soaping. What I liked: 1. The sides lift out very easily-no dumping the mold over and trying to break the seal of your soap away from the silicon liner 2. The plastic bag lifts out of the bottom piece, allowing you to gently place your long soap log on the table with no undue trauma to the soap 3. The soap liner can then be cut the rest of the way at the corners to form a clean and no fuss cutting liner for you to cut and place your soap on in preparation for transfer to curing! Then, just throw away or recycle the liner and you have a clean mold ready to go for the next batch. No washing, so it is even easier than working with a silicon liner!!! What I did not like: The seam in the bottom of the poly bag-at the corner caused me to lose two bars in each log of soap. Even when perfectly flattened there is no way to get rid of that nasty seam wrinkle in the corner. I will still use these, but that ticked me off. "My "go to" mold for making goat milk soap"
COMMENTS: So Far I have purchased 3 of these molds through the course of about 3 years. On the first one, the end pieces of the mold were attached to the bottom of the mold with screws, which in my opinion, is a far better way to have attached them as opposed to the staples they used now. In fact, the last one I purchased, the ends were only attaches with 2 of these staples per side, and one side came loose on me after about 4 uses. I fixed with by reinforcing the sides with screws, like the first one I purchased was done. It's great now. I am still using all 3 of these molds. There is slight warping of the wood due to use/heat/moisture, but that's probably normal for such a product. That having been said, I would and do plan to purchase this mold again, because the positive qualities of this mold outweigh the negative. I'll just reinforce the sides again if I have to. I love this mold because of its height, allowing me to make soap the height I want, and not some predetermined standard someone else came up with. The height assures me that my soap isn't going to spill over when I am attempting to make high tops. Also, I have great success with non-gelling of my goat milk soap (I don't use the silicone insert with goat milk) when I use these molds with high velocity fans blowing on them and the soap during the set up phase. I do wish Wholesale Supplies Plus would offer this type of mold in a smaller size, like half the size of the current one, for smaller batches. • Slight warping of wood with use (normal? COMMENTS: Very nice mold. However, I find that it is the perfect size for me without the silicone liner. Would be even better with a lid and space for textured tops. COMMENTS: I love this mold and I bought the liner too. I just love it! "What are the inside dimensions of the mold?" Staff Answer The inside measurements for this mold are: Length: 20 1/2", Width: 3 11/16" and Depth: 3 3/8". "How many lbs of oils does this mold hold? " Staff Answer Hi Teresa, the Long Loaf Wood Mold makes (1) 125 oz. Loaf (Mold filled ½” from top.) That's about 7.8 pounds. "you need more variety of wooden molds. Will you be bringing new wooden molds selections in soon for 2016? " Staff Answer Thanks for the suggestion! I will pass it on to our purchasing department for review. As of right now there are no plans for new wooden molds. "I bought this mold with silicone liner for cold process. Can I use it for cpop too? Is there any glue in the construction?" Staff Answer Hi Elizabeth - Great, question! We don't have the answer right now, but will ask the manufacturer. Staff Answer Hi Elizabeth, we checked with the manufacturer and there is glue in the construction. "Is 3.75 the height or the width?" Staff Answer 3.75" is the width of the wood mold. The silicon insert that fits inside of this mold is 3.5" wide and the additional 0.25" accommodates the thickness of the silicone itself. "Does this mold have a fourth side that is not shown in the pictures? I have read the description but it does not mention it." Staff Answer This mold is enclosed on all sides except the top. One of the longer sides slides in and out to make it easier to remove your soap. "What type of wood is this made from?" Staff Answer These molds are made of poplar. 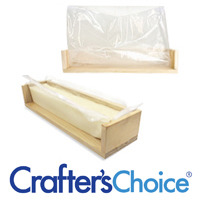 "Does this mold make a loaf of soap that is compatible with the Crafter's Choice mitre box?" "Are the posted dimensions of this soap mold the outside wood size or the finished size of the soap log (inside mold dimensions)?" Hello, From my understanding the dimensions are for the outside of the mold. Thank you for your question. "Is this treated wood or all natural? " Staff Answer The wood is all natural and untreated.